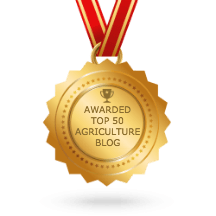 SAIFood, Sustainable Agricultural Innovations and Food, is a blog space dedicated to articulating current research, policy and influences of agri-food innovation, regulation and sustainability. SAIFood is created by the Agri-Food Innovation’s Chair at the University of Saskatchewan, Dr. Stuart Smyth, and his research team. Our goal at SAIFood is to provide the public with comprehensive overviews on the current research being performed in agriculture and genomics. As well we hope to motivate open dialogue and research on the topic of agri-food innovation. Sustainable agricultural innovations will be one of the crucial tools in addressing global food security. Producing greater yields with fewer inputs is essential for sustainable growth. A vital component in addressing global food security will be ensuring the efficiency and effectiveness of regulations regarding the commercialization and trade of innovative agricultural products. Increased crop genomics research will result in new products and processes, requiring their co-existence with other commodities, triggering the likelihood that low level presence regulations will be used as a barrier to trade in these products. When coupled with the movement away from science-based regulation considerable regulatory uncertainty is created. If regulatory uncertainty from the inclusion of socio-economic considerations increases, agricultural development firms may be unwilling to make the required investments necessary to increase the number of new crop varieties for the marketplace, thus exacerbating the challenges of global food security. Presently, 21st century agriculture is perched on the cusp of this challenge and this research chair proposes to contribute to facilitating this transition.